The farm holiday consists of four farm houses which have been fully restored respecting the environment and the true Tuscany traditions. Very spacious, refined walls and unquestionable detail in an enchanting and evocative countryside, assuring their guests an unforgettable stay. Western and English style equitation, lessons in horsemanship and horse-trekking through the Farm's vineyards and olive groves. If you would like to relax in the green Tuscany countryside and savour the emotions given by a place immersed in olive groves, vineyards, cyprus trees, church parishes and castles. A horse-ride will help you to regenerate and gather the magical and unforgettable spirit of our land. It will be natures rhythm and the work in the fields to scan your inner self. Different types of bikes are available for adults and children. Guided trips can be organised on request. 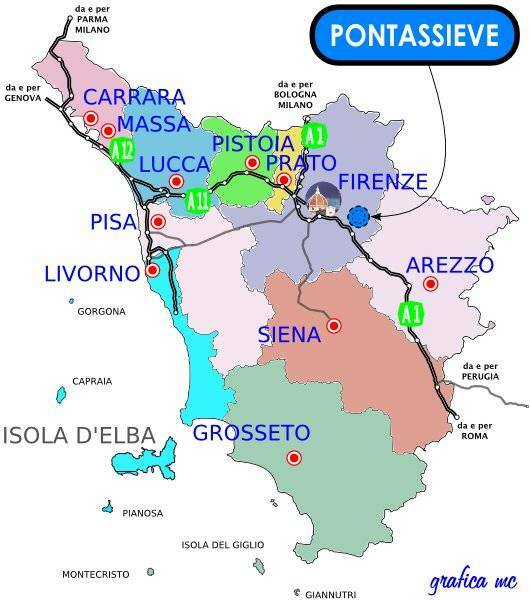 In the sports centre "la Toretta" only 3 km from the Farm holiday you will find 2 clay tennis courts. In March, July and November, our truffle you can learn the technique of collection of truffles accompanied by trained dogs.